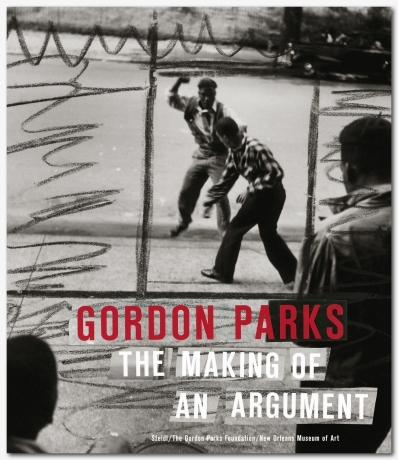 Gordon Parks moved to Harlem in the mid 1940s and convinced the editors of Life magazine to hire him. 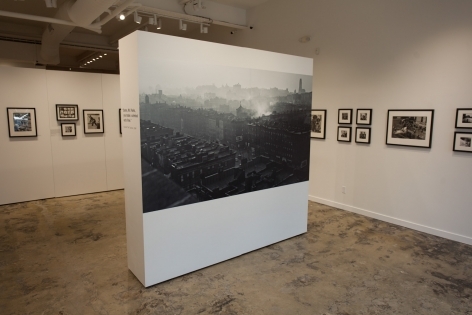 As the magazine’s first African American photographer, he proposed a series of pictures about the gang wars plaguing Harlem to skeptical photo-editor Wilson Hicks in 1948. 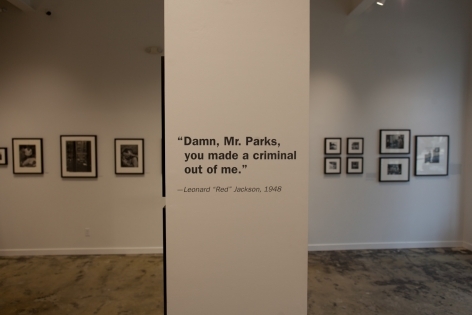 Parks believed that if he could draw attention to the problem, then perhaps it would be addressed through social programs or private interventions. 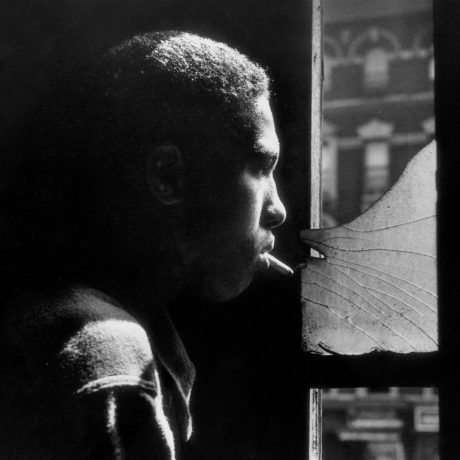 After the initial challenge of finding willing participants, Parks was introduced to seventeen-year-old Leonard “Red” Jackson and the Midtowners gang by a plainclothes officer. Over the following six weeks, Parks established a level of trust with the gang, which gained him unprecedented access to document their activities. Such activities included diplomatic sessions with other gangs, fights, and even a visit to a funeral chapel to examine the wounds of the deceased member of a friendly gang. 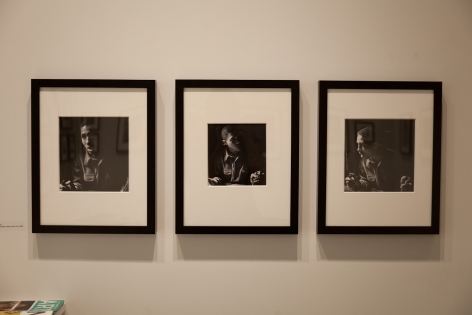 Conversely, he also photographed Jackson engaging with his community, his quiet moments at home, and other typical activities of a teenager. 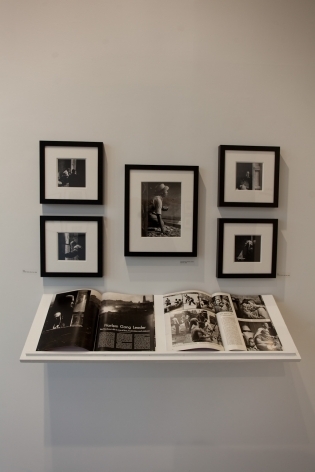 Per standard practice of a Life photographer, Parks handed over his negatives to the magazine’s editors, forfeiting control over their use and presentation. 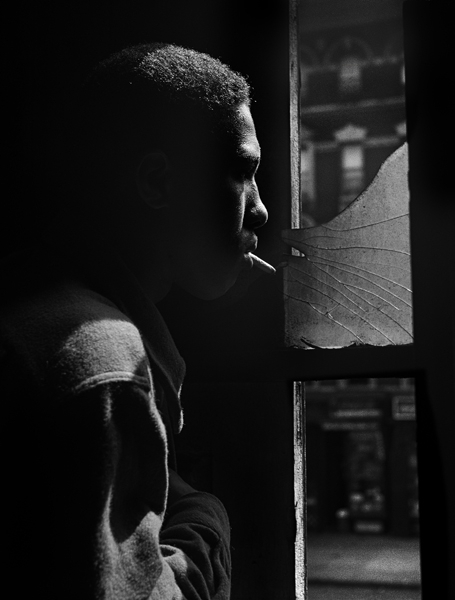 The resulting photo-essay, “Harlem Gang Leader,” appeared in the November 1, 1948 issue. Almost every picture selected--and the subsequent reshaping of those photographs through drastic cropping--were chosen to visually underscore the pre-conceived notion (and dramatic opening text) that Jackson lived a life of “fear, frustration and violence.” Images of truancy, brutality, and death filled the article’s ten pages and nearly all of the images of Jackson’s quiet home life were omitted. 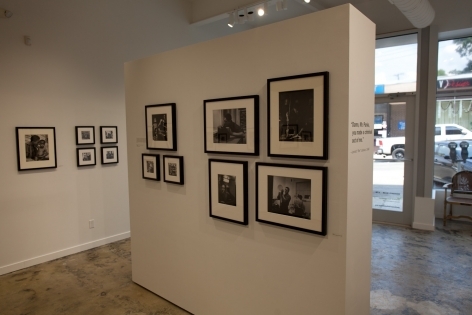 In viewing Parks’ “Harlem Gang Leader” photographs collectively—including the vast number of rejected images and outtakes—the viewer is able to understand Parks’ intent to carefully craft an in-depth portrait of Jackson as a complex and conflicted teenager, who shouldered the burden of daily chores one moment and posed as a symbol of community leadership the next. A portrait that was truncated, reshaped, and distorted within the pages of Life magazine. 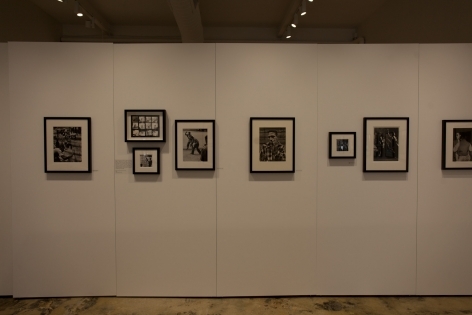 Harlem Gang Leader is an iteration of the exhibition and catalogue Gordon Parks: The Making of an Argument curated and written by Russell Lord, the Freeman Family Curator of Photographs, and organized by the New Orleans Museum of Art, in collaboration with the Gordon Parks Foundation. This was Harlem. I was a part of it - it's people, it's songs and words. Then I started roaming through the sea of black faces and they were not as I had expected them to be; they seemed troubled and melancholy. And walking along I found that, in spite of my color, I was a stranger here. 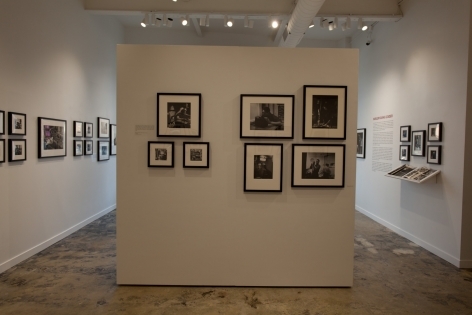 "Harlem Gang Leader" exhibition included on the Google Cultural Institute collections page for The Gordon Parks Foundation.